Safeguard your reputation and minimise regulatory risks with trusted screening data. Whether building new business relationships or transacting with current partners, customers, and counterparties, you and your organisation need to be protected. Regulatory lists may be a good start, but often you need more comprehensive data to safeguard yourself effectively to meet regulatory demands. You want the confidence that you can uncover potential risk without slowing business operations. 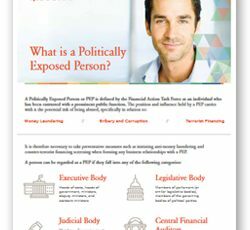 Fircosoft offers a comprehensive suite of screening solutions that provide a powerful defence against illicit financial partners and activities. 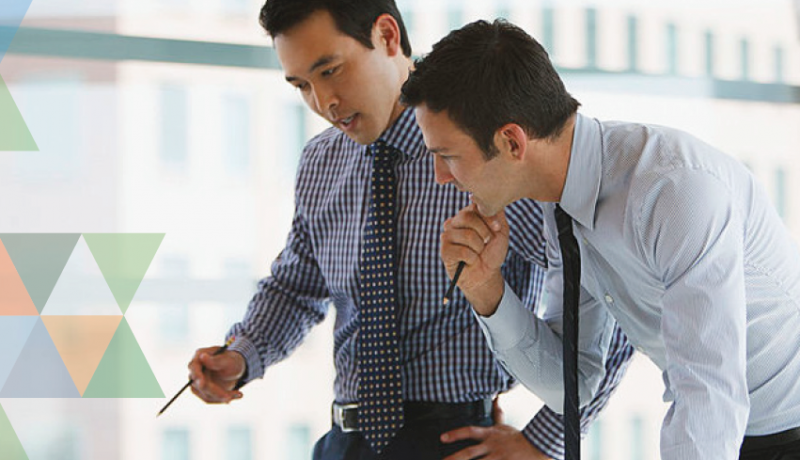 With our sanctions data accredited by the American Institute of Certified Public Accountants (AICPA) with SSAE 16 certification, we deliver flexibility, connectivity, and trusted data all in one place. Our solutions provide the stable foundation of screening data you need to flag high-risk customers, accounts, and transactions. Minimise your risk with our comprehensive high-risk data sets. 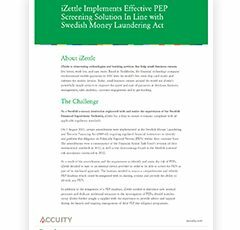 Learn how iZettle implemented an effective PEP screening solution in line with the requirements of the Swedish Money Laundering Act.